Play your cards right - and win the game of Hearts! Get hands-on practice with expert tips on game strategy on every card! 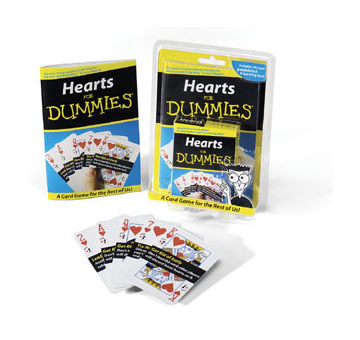 Hearts is a popular card game of "tricks" in which players, contrary to many games, try to avoid winning points. Having good card-sense (knowing and keeping track of the "danger cards") is often crucial to winning the game. This friendly For Dummies guidebook walks you through each stage of the game step by step. Each card in this specially designed deck gives you helpful hints for improving your Hearts skills and strategy. By playing with this deck, you hold the key to Hearts in your hands.